Colourful garden side table in Caribbean flair. Suitable for the lounge area. In Santa Marta on the Caribbean coast, Rafael and his friends produce chairs from plastic threads and tubular steel using a "momposino" weaving technique that is typical of this region. 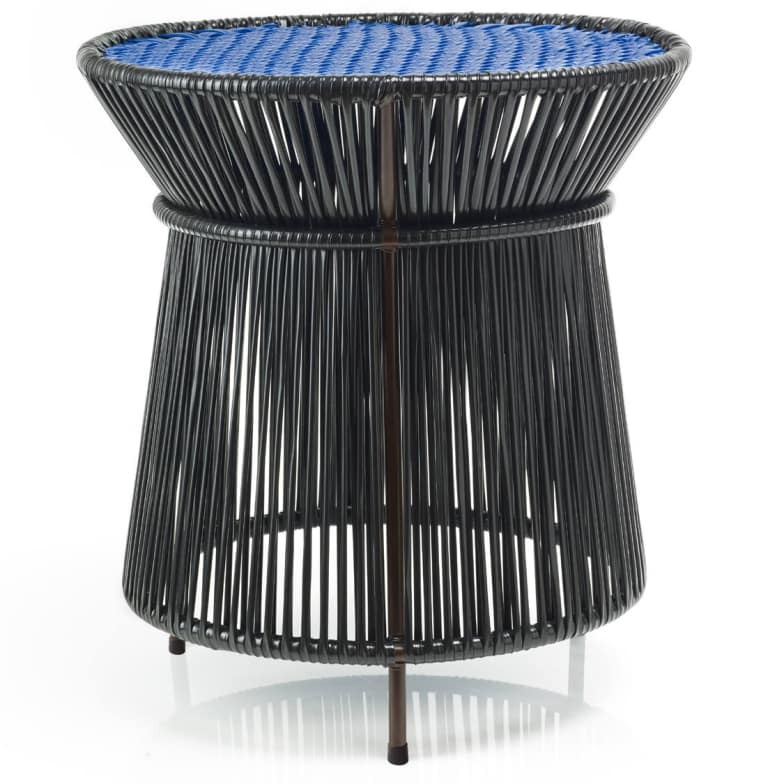 Sebastian Herkner designed the "caribe" garden furniture collection on this base. Here we offer you the high side table suitable for the lounge area, which is an ideal addition to the lounge armchair or bench. A small basket table and a low coffee table are also available from the Caribe series. The Caribe tables, benches and chairs are available in many different cheerful colour combinations. Fascinating landscapes, special cultural treasures and cheerful people characterize colombia. the decision for a furniture or living object by ames is a decision for something that was created by hand in the old colombian tradition - for a unique piece with character that makes the own environment unique and extraordinary. Do you have a question about "Caribe High Table"? How can we contact you?